So here we are at the end of the first half of the race season and my how time flies! How is the season so far? Well the first half of the year got off to a busy start, we are pleased to extend warm a welcome to new Senior Members; Paul Cooper, Graham Edwards, Jordan Cain, Ben Hamer, Tom Neale, Chris Dolby and Gary Woodhall, together with Juniors Morgan Hamer and Joe Neale. 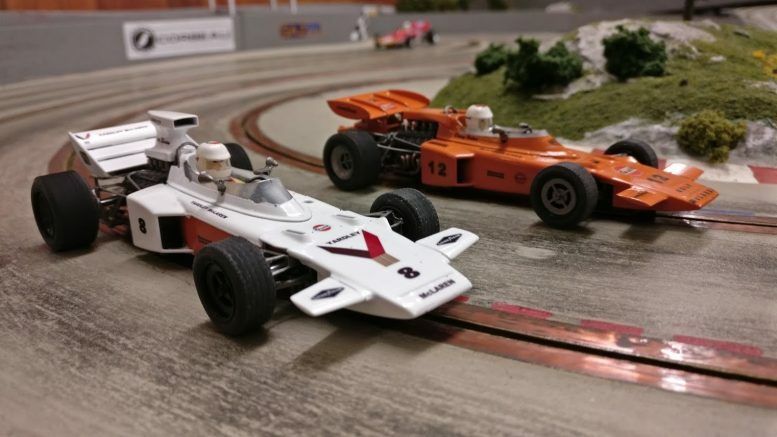 The senior series had some relative minor changes to the regulations which has served well to equalise the performance of the cars, resulting in some fantastically close and competitive racing with differing winners. This year saw MDMC stalwart, Steve Ruscillo record his first ever win in one of our the fastest series, Classic Le Man. Well done Steve, no one could keep up with you! 2018 also saw the introduction of the new ‘Policar’ Classic F1 championship, what a revelation these cars have been, with the models being both quick and handling extremely well for narrow open wheeled racers. Another record has also fallen, with Tom Williams setting the highest ever total lap count for a championship round (4x 5minute races). Just a few years ago it looked like 120laps was going to be the absolute limit, but he has now pushed that up to a massive; 128.22! That works out at an astonishing average lap time of 9.358seconds, is 130 laps now now within reach? In the overall senior club championship standings, Tom Williams enjoys a slender one point lead over James Savidge, whilst veteran Chris Savidge lays third overall but 20 points adrift of the leaders. With such a slight margin, the top of the field still has all to play for in the second half of the season! This year also saw the migration of the old junior championship into a new ‘Lads and Dad’s’ format with the introduction of a new handicap system. Racers are classified into three categories; ‘Senior’, ‘Intermediate’ or ‘Novice’, with bonus points awarded for improving performance. So where are we in the series standings? With Chris Savidge leading the class ‘A’ or ‘Senior’ standings and Carl Mills leading the class ‘B’ or ‘Intermediate’ table, it is however newcomer Gary Woodhall who heads up the overall championship standings with a healthy 30pt lead over his nearest rivals, thanks to some impressive performances. Will anyone threaten ‘Bonus point Gary’ in the run up to the chequered flag at the end of the season? Full details of the championship standings can be found on the Results page. So what of new tracks? 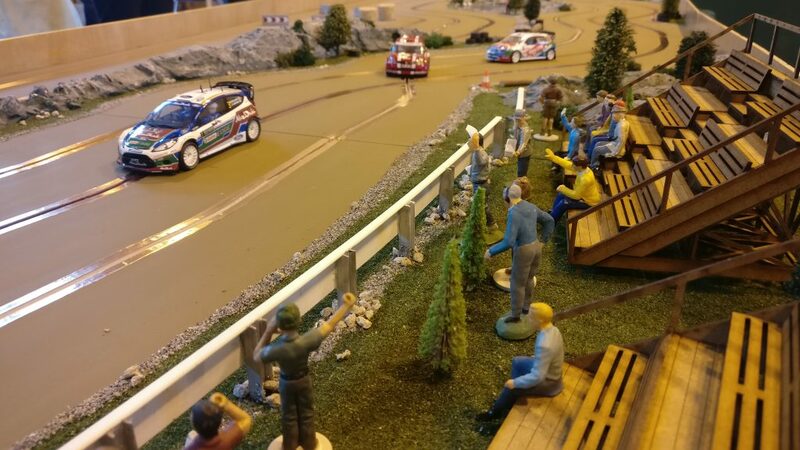 Following the construction of the Dakar stage last year we can now also add to our portfolio a new 3 Lane Rally Cross circuit built especially fir the annual Model Show held in July this year. Designated ‘Brecon Rally Cross’, we now look forward to this new track being incorporated into the 2019 race series. A fully gallery of the new circuit can be seen on the Tracks page.